Station Road in Croydon is hardly the world’s most glamourous street. 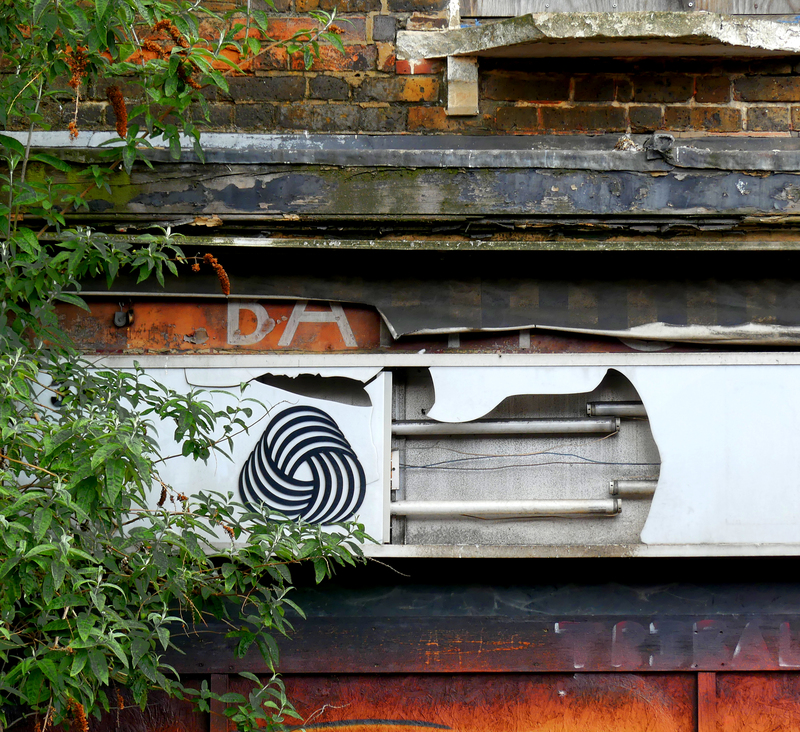 A winding row of semi-derelict buildings squashed up against mobile phone repair shops. However, up above a boarded up shop called ‘itters needs’, I spotted the greatest logo ever created. This logo is the Woolmark logo, created back in 1964. Recently, Creative Review compiled a list of their top 20 logos after consulting readers and industry experts and there it sits, at the top of the list. Although this stunningly simple solution and iconic logo is widely attributed to Italian designer Franco Grignani, there is an unusual story behind it. 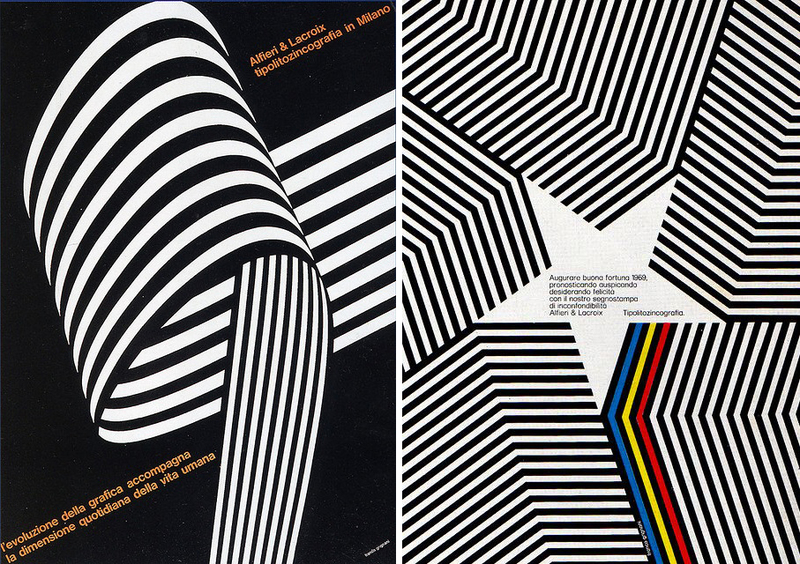 As well as being a graphic designer, Grignani was an artist who was involved with the futurists, before moving towards a geometric style that was at the origins of Op Art, creating thousands of experimental works. This style crossed over into his design work (notably with the Woolmark logo) and he also mixed swirling graphics, occasionally with high contrast photomontages, to stunning effect for clients such as Pirelli and printers Alfieri & Lacroix. The Alliance Graphique International (AGI) attribute the Woolmark logo to him, but mentioned that he had entered the logo into a competition under the name of Francesco Saroglia. That competition was organized by The International Wool Secretariat (IWS) in 1963, and they appointed Grignani as a judge to choose a winner from the submitted logos. Some say that Grignani was unimpressed by what he saw, but had created a few versions of a logo himself as studies – the subject matter was perfect for his style after all. However, it would appear to be a little more complicated than that. Months previously, someone who is known mysteriously as ‘Spiriti’ had asked some designers for logo designs for the IWS to submit for the competition. Apparently Grignani had supplied those very studies and thought nothing more of the matter. So he was quite surprised to begin the judging process and come face to face with his own work – under the name of ‘Francesco Saroglia’. Taken aback that his work may have been copied, and also concerned that as a judge, he shouldn’t have his work entered, he kept quiet. Despite actually arguing against it being used, the other jurors were unanimous in agreement that it was the best solution. Today, nobody knows who Francesco Saroglia is – there are no references to his work anywhere – and in the last years of his life, Grignani finally started to admit to people that it was his work. So anyone wanting to learn more about Grignani’s work should head to Islington’s Estorick Collection and make a date in the diary for July to visit their upcoming exhibition on the man himself. More details here. There, I’m sure you can see the work of someone called ‘Francesco Saroglia’ – but we all recognise it as Grignani’s genius. 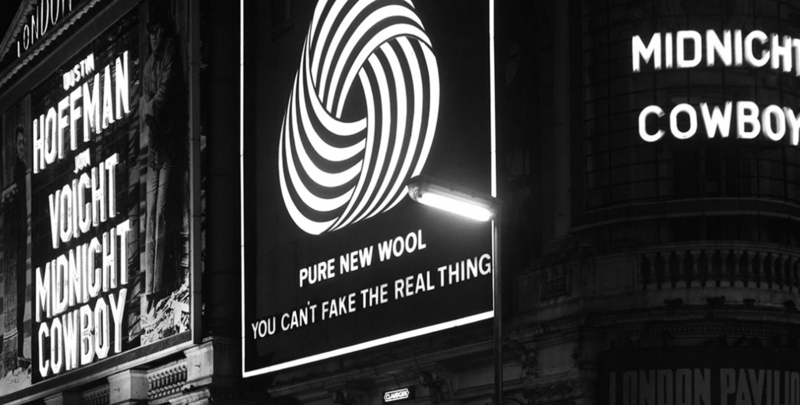 Like new wool, you can’t fake the real thing.